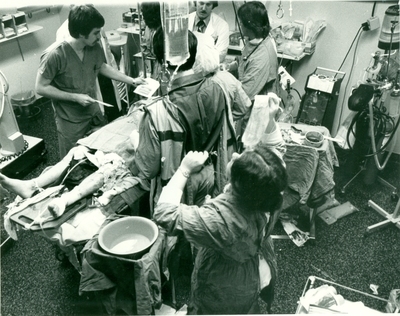 What surgery is happening in this photo? Do you recognize anyone? The photo was taken between 1974 and 1980. Do you know a more specific year?